Stewart Robson is well known for his time with Arsenal, and the former midfielder claims that Cesc Fabregas was a liability for Chelsea in the opening match against Burnley. The blues suffered a surprise defeat on the opening game of the season, despite being the reigning champions, as Burnley were able to take advantage of two red cards for the home team. Gary Cahill was given a straight red card in the first half, while Fabregas was sent off for a double yellow in the second half. 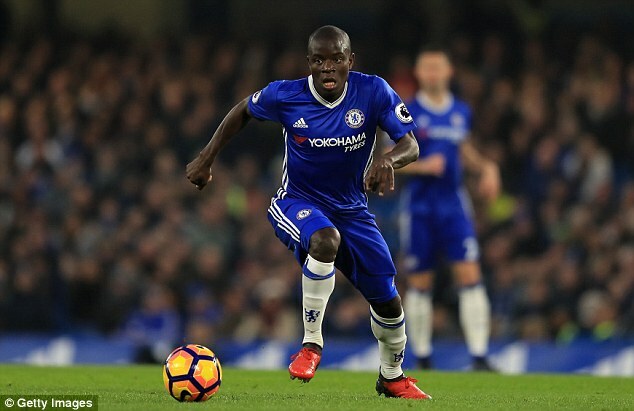 Robson believes that Antonio Conte cannot consider playing Cesc Fabregas and N’Golo Kante in the same midfield. Last season, Kante was one of the best signings and he formed a great partnership with Nemanja Matic in the centre of the midfield. However, the Serbian has been sold to Manchester United for around £ 40 million and the competition in the midfielder has been strengthened by the arrival of Tiemoue Bakayoko. Lately, the club have also brought in Danny Drinkwater from Leicester City. Even then, Fabregas is expected to remain the regular first team name. Robson is not convinced that this is the best option for the club. Conte will have to be without Fabregas and several key players due to injuries and suspensions for the next match against Tottenham, which will be at the new Wembley stadium. “Cesc Fabregas playing in a two in midfield is not athletic enough and Chelsea are going to be caught time and time again on the counter attack if Fabregas plays alongside Kante. You can’t expect Kante to do all the running for him. You’ve got to have somebody in there that can defend much better and get around the field.That’s gonna be their weakness, all the time they’ve got Fabregas in the side they will be vulnerable,” said Robson.